Francisco Airport easy, relaxed, and headache free. always make a Advance Reservation. collect your luggage or you have only Carry On. all the way front of the taxi line (to your right). 1. 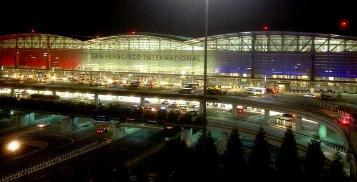 Reserve Your Taxi In Advance From San Francisco Airport. 2. Call 1-800-220-1105 Or (650) 579-7000 When You Land. 3. Call Dispatcher Again After You Pick Up Your Luggage, We Will Provide You The Taxi Number. Taxi Line (To Your Right). You Don't Need To Wait In Line Since You Have Arranged Pick Up With Us. 5. Your Taxi Will Come Directly In Front Of The Taxi Line In 5 Minutes.